Let's face it: setting up a full-scale web server and site is hard, no matter what OS you use. You need server software. You need databases, scripting engines, libraries. 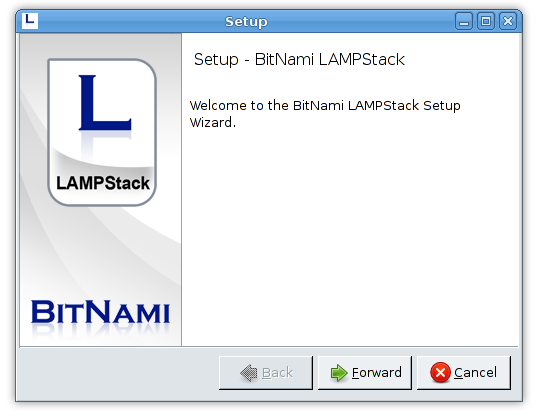 Nobody likes taking the time to set up a server like that manually, and the folks at BitNami realized that. They bring to the table BitNami Stacks, and already the name gets you thinking of what it does. Offered among these Stacks are something you'd expect: WAMP and LAMP stacks. And, with a little configuration, one could easily do this with any other package manager or installer. However, these Stacks are already preconfigured to "just work." All that needs to be done is a copy-paste of the files you want on the server, and you are online in moments. The installer doesn't expect anything of you; it brings everything it needs with it. One big feature I saw of the Stacks was that they were self-contained; that is, they work in their own bubble and don't mess anything else up. They also can be run as an unprivileged user, which also means you can have more than one stack installed at a time. I was skeptical of the whole idea at first, but once it was installed I was amazed at how easy it was. It really was just an operation of clicking Next and filling out the boxes, and before long I had a fully functional web server. First off, I tried the Roller installer, since that was one of the few Linux stacks available at the time. It was quite a massive download, and it turned out that Java was bundled with it which bumped the size up almost a hundred megabytes. After installing everything, the site was up and running, even using JSP. That done, I was curious to try the generic LAMP stack. It was just as easy to install as the Roller stack. Included was Apache 2, MySQL, PHP, and phpMyAdmin. Everything was ready to go after filling in the installer fields. However, some of the options are ambiguous, which for a new user might be confusing. One point it asks for a MySQL port number with no description, which makes you wonder if you need MySQL already set up. Turns out you don't; the port number will be used by the MySQL version in the stack itself. However, some other parts of the installer were very helpful. 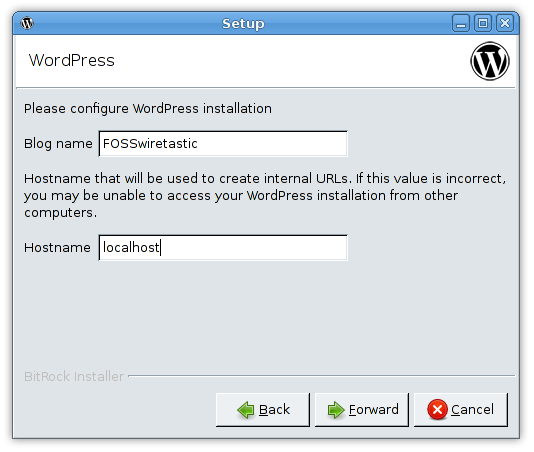 The WordPress stack integrated WordPress' own installer right into it, saving a few minutes going through another setup page. All in all, the Stacks are doing something never done previously: packaging everything needed into one neat file, making it easy enough for any end user to install. The file sizes are not friendly: the average stack installer is about 50MB. Some of the installers could be lightened up by the removal of the entire Java Runtime Environment, and in the future it is possible to see a Java-less stack.